Kosherfest 2009 | Hipsters and Hassids: The painting series. The phenomenon. 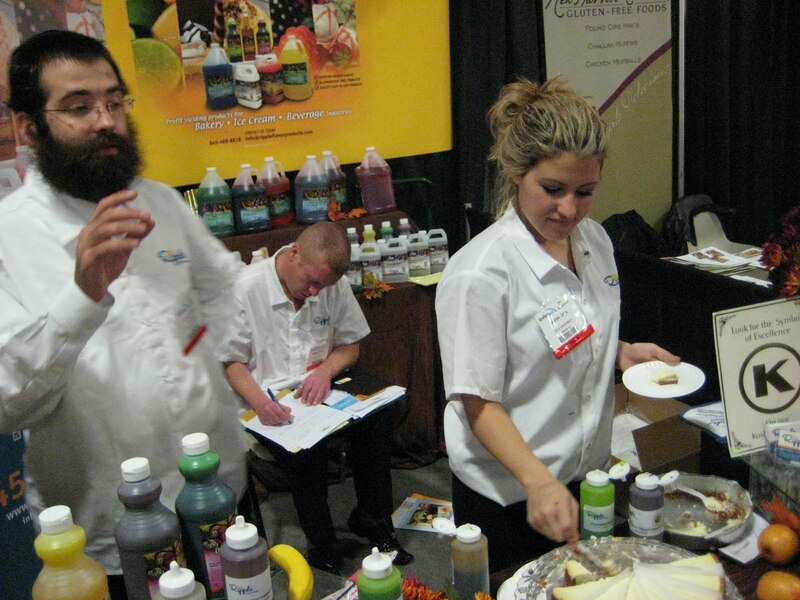 Today I was at Kosherfest- the convention for all happenings in the kosher food world. Kosherfest showed meats, cheeses, wine, liquor, easy dinners, sauces and desserts. Nosherie of all kinds! 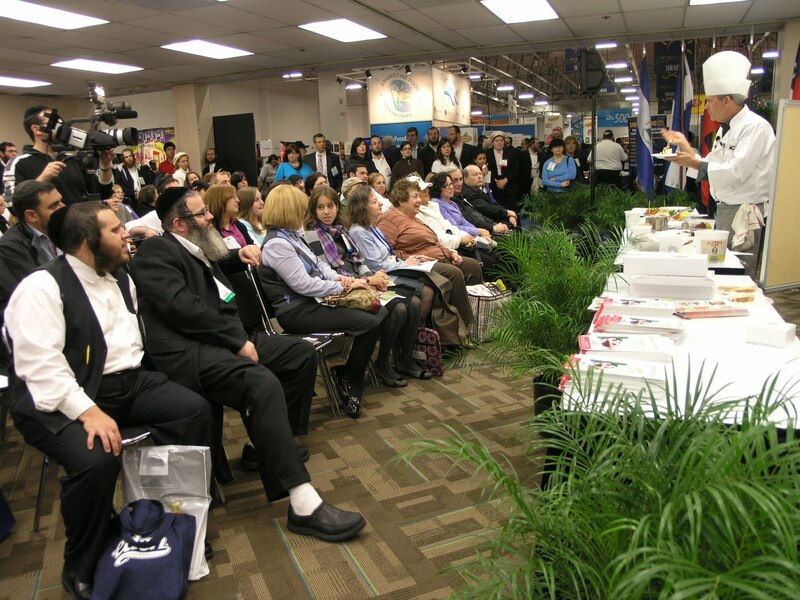 Demonstrations were held by the Kosher Culinary Institute. 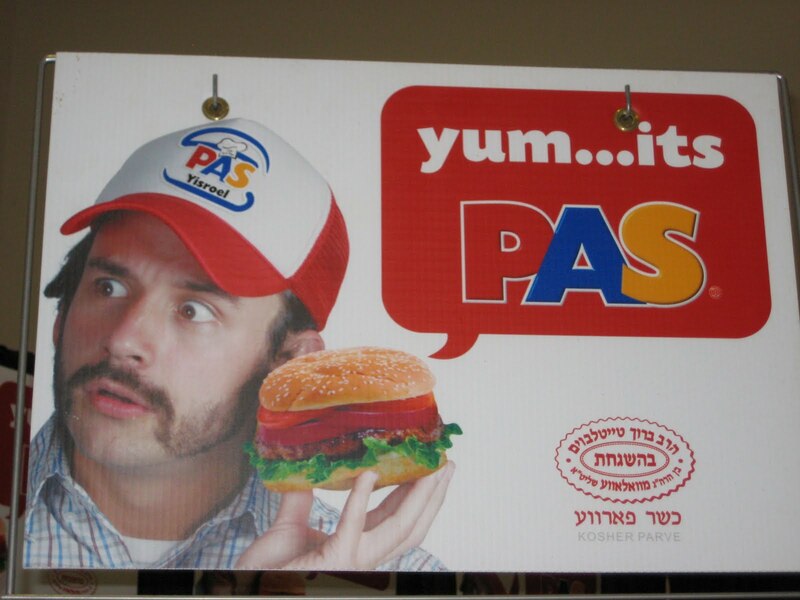 Hipsters Advertising for Hassidim — Check out this ridiculous ad showing a hipster advertising Kosher, Pas Yisroel, sandwich bread. I can’t get over the irony of the hipster stock image combined with the seal of kashrus that is approved by the Hassidic communities. Where is this world coming to? Are the Hassidim trying to attract Hipsters? Maybe they are warming up to the “artists” after all! 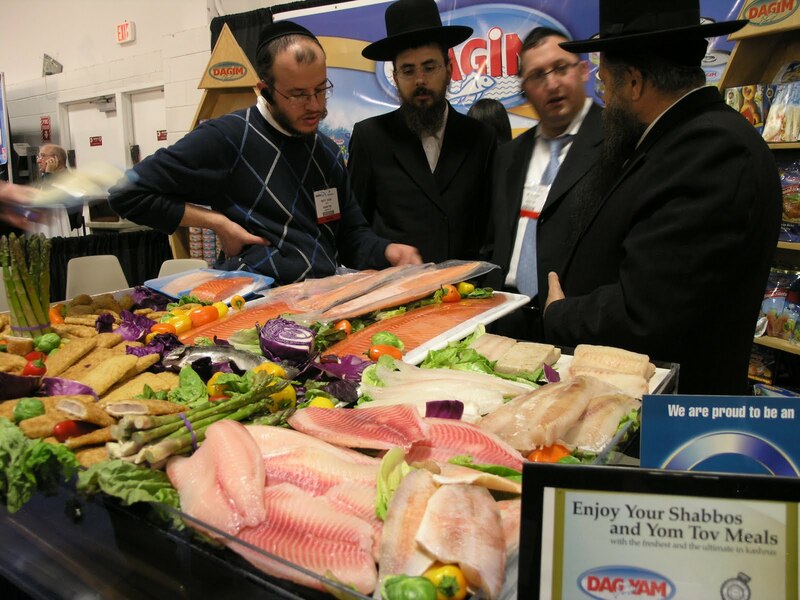 Fresh Fish —Where there was a fish stand, Hassidim were around. If you ever walk through South Williamsburg you will notice a fish market on every other block. So where does the obsession with fish come from? In Judaism it is said that eating fish is a “segulah for parnasa” it is an action that will (G-d willing!) lead to “bettering of one’s fortune.” Before we get into stereotypes I want to point out that fortune is not only monetary fortune, but it is for health, and to live without stresses. Also money couldn’t hurt.